Beyoncé says she’s “been through hell and back” in Vogue’s September issue. The 36-year-old singer has written about her body, pregnancy and other parts of her life for the magazine’s most important issue of the year. She made headlines last week after it was revealed she’d have full control of the cover, including a self-authored essay, pictures and captions. This included recruiting 23-year-old Tyler Mitchell as the first black photographer to shoot a Vogue cover. She’s also the first African-American on Vogue’s September cover. In that time she describes suffering from pre-eclampsia and being on bed rest for over a month. Afterwards she “accepted what my body wanted to be” and “enjoyed my fuller curves”. Beyoncé also spoke about her decision to work with Tyler Mitchell and the importance of opening doors for younger artists. The 23-year-old photographer made history as the first black photographer to shoot a September cover in the magazine’s history. “There are so many cultural and societal barriers to entry that I like to do what I can to level the playing field,” she writes. Tyler wrote that he was “honoured to have worked with such an icon” in a post on his Instagram. 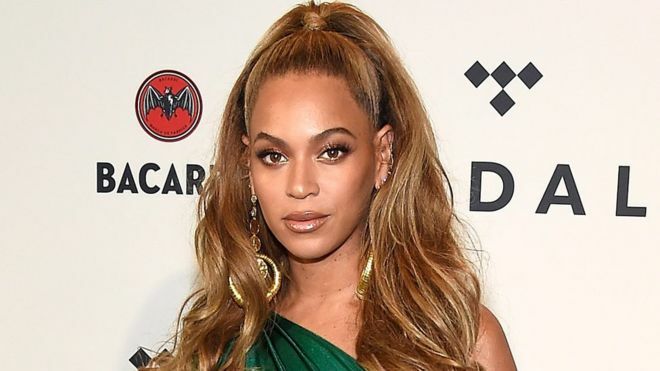 Expanding on her past, Beyoncé talks about her many performances, including Coachella and the On the Run II tour, and reveals that she learned she descends from “a slave owner who fell in love with and married a slave”. This information took her time to “put into perspective”, but she says she believes “it’s why God blessed me with my twins”.